If your summer bod goals have you in full blown crack down mode on your diet, consider this your excuse to abandon that for a day — and to do it with a smile! March 14 is National Potato Chip Day (yes, it’s a very real and snackable holiday) and this year Lay’s is offering you two ways to get in on the fun that involve more than just going to town on a bag of your favorite flavor (though that’s also encouraged). How does having your face put on a bag of chips sound? 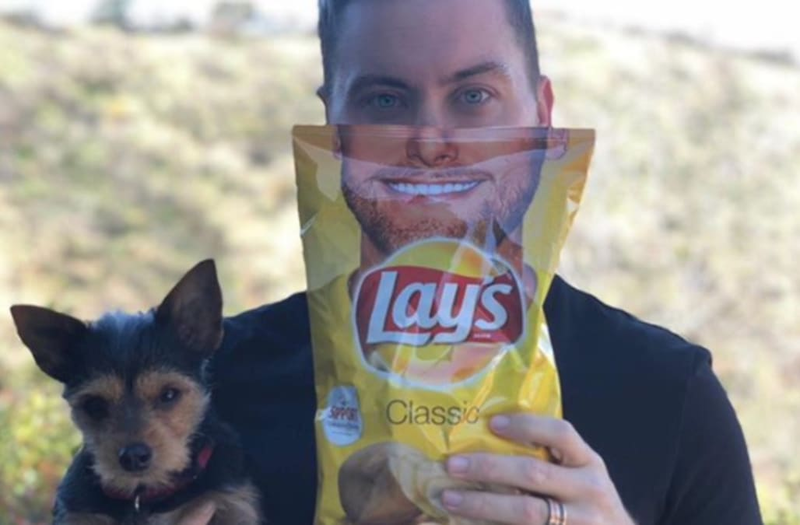 This year, if you log on to Lays.com and upload an image of your smile, you can have a custom bag delivered right to your door. The customized bags come as a part of Lay’s ‘Smile with Lay’s’ campaign that kicked off early March, which featured newly packaged bags featuring 40 different smiles plastered on them. For each one of the limited-edition packaged bags purchased, Lays will make a donation to Operation Smile, an international medical charity that aids in providing safe surgical care to children with cleft conditions in underprivileged parts of the world.